“If you have to fight the frauds efficiently – you have to be united”. The joint workshop of Indiaforensic with ISACA , Pune chapter has sent this signal to the forensic accounting, information security and coputer forensic professionals across the world. This was one of the foremost events in the city of Pune. Though the event was conceptualised by the team of Indiaforensic, President of ISACA, Pune chapter, Mr. R.R.Ponkshe made it happen. Under his leadership the whole program was executed and planned. Many members from outside Pune city attended this program notably from the city of Kolhapur. It was one of the very crucial events for the team of Indiaforensic as this was the first Joint event on the topic of computer forensics. This was one of the few topical training sessions arranged by Indiaforensic. Presence of the team of 8 students from the Symbiosis Center of Information Technology was highly appreciated. This was significant because it was observed that the students are taking coputer forensic as profession now. They were keenly interested in the topic of our first speaker Mr. Anil Chiplunkar. Anil runs his own firm called Infocounselors and has a vast experience of more than 20 years in the field of forensics. 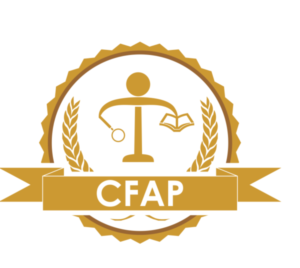 He is a Certified Forensic Accounting Professional [ CFAP]. Anil Chiplunkar gave a different overview of the coputer forensic as the profession. Anil’s presentation touched the basics oh the computer forensic as profession. He explained what is computer forensic, the history of computer forensic profession, what does evidence mean ? how is it used in the practice and he made the audience to participate in his session and made the session very smooth flowing. Sebastian Edassery was the second faculty member. Sebastian is also a Certified Forensic Accounting Professional and one of the key persoanlities in the domain of computer forensic in our country. He is an Interpol certified trainer and has experience of working with Central Beauro of Investigation. Sebastian’s session was appreciated very much due to the demonstration he gave before the audience. He asked for a pen drive from the audience. One of the members provided the Pen drive in which primarily there were just three doucmnt files. But when he recovered the deleted data from the Pen drive the audience were taken a back. Computer forensic tools have the ability to create the miracles in front of the audience. This is probably the reason why the investigations are now termed as the romantic investigations. Third and t he post lunch session was the demonstration of Encase. Globally, Encase is one of the most exhaustive, tried and tested computer forensic software. Mr. Sudheer Londhe and his team mates from Syntel presented the demonstration of this tool on computer forensics. Surprisingly the last session became the attraction of this workshop. Chairman of Advisory board of Indiaforensic, Mr. P.Sarathkumar presented the case study on Satyam. He gave the live updates of the current position of the Satyam Investigation as he is one of the members of Multi-disciplinary Investigation team appointed under the CBI. When asked for the feedback, members of ISACA told us unofficially, that in past four years no event was executed at such a large scale and of this quality. Most of the members were impressed by this program and have asked us to keep them informed about the future programs in Pune. Thanks to the vision and determination of the President of ISACA Chapter, Mr. R.R. Ponkshe and the Vice President of ISACA Chapter, Mr. Nilesh Bhave. In an endevour to equip the antifraud and information security professionals with the tools, computer forensic softwares were provided by the “Team Indiaforensic” in this conference. Those who were present in this conference and have received the softwares are requested to post their feedback and comments on this blog.